It's quiet in Garrattsville, but there are some great roads for racing. CNYC has mapped out a stellar 12 mile loop with two climbs - one steep, one grinding, neither short. It's nearly the same from year to year, but this year introduced a finishing climb - Ouch! NAVers were spread all over the place this past weekend (Quabbin, Waywayanda, and even an XTERRA in NJ), so I ventured to this one solo. 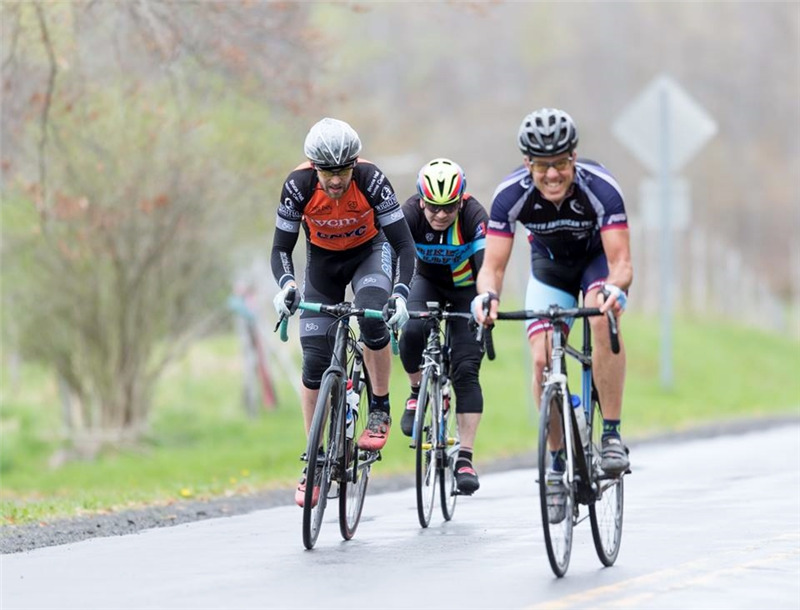 My Masters 40+ race essentially came down to attrition on the climbs, with two of us left (in a combined field) up the final climb to the line. I had just a tad more left in the tank and was able to notch the win by a few seconds. This is really a nice race with an informal feel, yet quite organized. Check it out next year.